Since the Spring launch of its TRP Clutch Programme, TRP, the UK’s leading all-makes truck and trailer parts has seen a significant upturn in demand for its clutch assemblies. Mixed-fleet operators will now be able to choose from over 200 kits in the range, with every TRP Clutch assembly manufactured to OE-approved specifications and with the key benefit of an extremely competitive cost proposition. Clutches from the TRP catalogue are quality approved to ISO 9001 / ISO 14001 BS standards to provide extended durability in service. Each protective paint-finished unit is auto-welded and dynamically balanced to ensure a highly accurate fitment and are 100% line tested prior to dispatch. An extremely competitive price point placed on TRP clutches is also backed by a two-year, unlimited mileage warranty. The TRP all-makes offering comprises genuine TRP Parts and other well-known brands for any marque of truck and trailer, supported by a wide range of workshop essentials and consumables. TRP all-makes Parts are available throughout the DAF Dealer network and a growing number of dedicated TRP Shops – now totalling 14 in the UK. The TRP Parts programme is marketed alongside DAF Genuine Parts and PACCAR Parts. 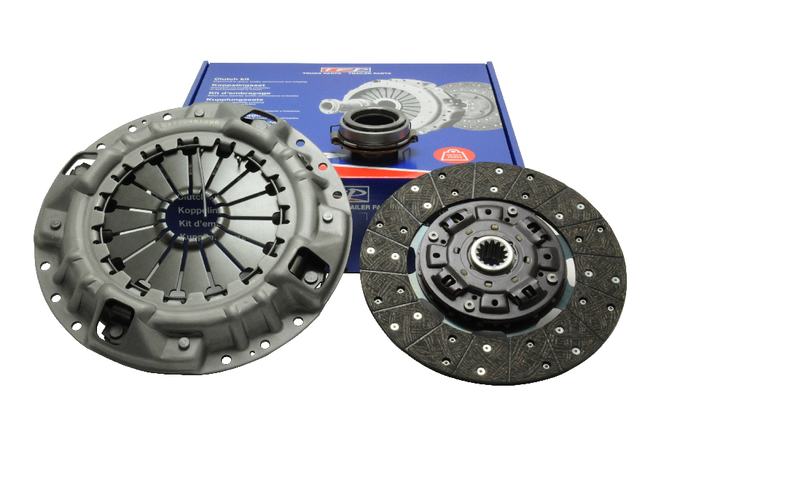 This latest clutch promotion is indicative of a fast-growing range of parts and workshop essentials in the TRP portfolio – currently in excess of 70,000 lines. Customers can also enjoy discounts and incentives by acquiring TRP Parts using an associated MAX Card. Following a simple application process, customers may use their MAX Card to earn MAX Card discount vouchers worth hundreds of pounds, offering savings across a huge range of Parts. MAX Card vouchers can be redeemed against existing incentives too, meaning extensive discounts can be found on selected Parts items.